Quality public service can never be denied especially for the people of Makati and from over 1000 sister LGUs of Makati. 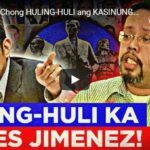 The more politicians throw mud at Vice President Jejomar Binay, the angrier his supporters become – who will always back him up with their votes. This is not about winning or losing – but it is acknowledging what a down to earth human being such as Binay can do to alleviate the sufferings of his people. 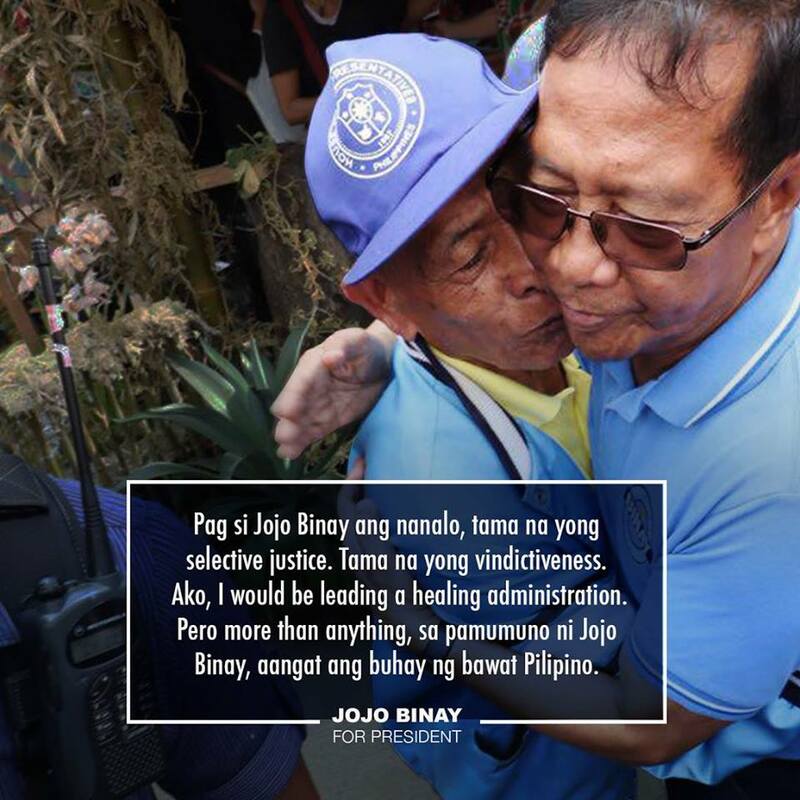 The votes are for the love of Binay – who generously gave that to the poor! 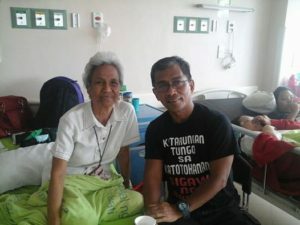 The commentary above is the analysis of this story: A SILVER STORY – Just this afternoon in a ward at the OSPITAL NG MAKATI, i was so honored to meet and talked with MANAY FELY, 81 YEARS OLD FROM DARAGA CITY, ALBAY. i intro myself as a bicolano and after some pleasantries, she started to tell her tales. ” in 1950 i went to manila to look for a job and i landed at a customs brokerage firm. I first stayed at a cousin’s house at quezon city. It was just after the war. Manila was under rehab and the areas from alabang to makati are all grasslands where cows, carabaos and goats graze for food. In 1983, our family settled at makati and we were witness to how then ATTY. JOJO BINAY BECAME MAYOR IN 1986 after the EDSA PEOPLE POWER REVOLT. THEN SHE ASKED ME, ” Sir nata man pig papararaot kan mga politico si BISE PRESIDENTE”? BEFORE I CAN EVEN ANSWER, she courageously made a litany of questions and statements. 1. 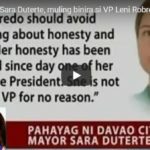 Bakit po ba nila sinisiraan si VICE. 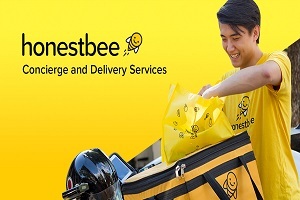 Wala naman siyang ginagawang masama sa kanila. At hindi sila inaapi ni VICE. 2. SIMULA PA NOONG 1986, BINAY NA KAMI AT NOONG TUMAKBO SIYA SA PAGKA BISE, NAG KAMPANYA AKO PARA KAY VICE SA MAKATI, SA BIKOL AT SA CAVITE. 3. ITONG HOSPITAL NA TO SIR, SIMULA PA NOON SA LUMANG BUILDING SA MAYAPIS HANGGANG DITO, MILYON MILYON NA MGA TAO ANG NATULUNGAN NA NITO, HINDI LAMANG MGA TAGA MAKATI KUNDI MGA TAGA BIKOL AT TAGA VISAYAS. 4. AT BAKIT SINASABI NILA SIR NA KORAP SI BINAY, HINDI NGA NIYA NAPAPASYOS ANG BAHAY NIYA SA SAN ANTONIO. 5. ANG ALAM KO MARAMI NA NAGAGALIT NA MGA TAGA DARAGA AT MGA TAGA CAVITE SA MGA PANINIRA NILA KAY BINAY. 6. 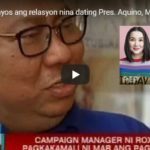 SIR ALAM MO KAHIT MATANDA NA AKO MANGANGAMPANYA AKO PARA KAY BINAY. CIGURADO AKO SIYA NA ANG SUNOD NA PRESIDENTE. COMING FROM AN OLD BICOLANA, ITS A JOJOBI PRESIDENCY.